Practical Boat Owner: A murder suspect has appeared in court after being arrested along with 17 suspected Albanian migrants, after a catamaran was detained at Chichester Marina. Practical Boat Owner: Volunteer crew from the RNLI’s Barrow station launched their all-weather lifeboat early yesterday morning to rescue the crew of a fishing vessel which was sinking approximately 2.5 miles west of Walney Island. 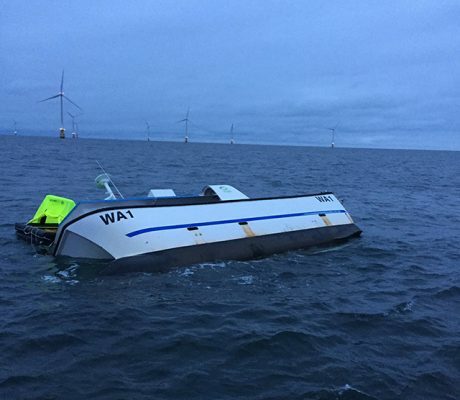 The request to launch the lifeboat came from Holyhead Coastguard at 2.50am, following a report that a 10.5 metre-long catamaran had collided with an offshore wind farm turbine, and was taking on water. The three crew on board had deployed their liferaft and were preparing to abandon the vessel when the lifeboat reached them. One of the crew, a 58-year-old man, sustained a head injury as a result of the collision, which occurred while the catamaran was on passage from Ravenglass. The Barrow Lifeboat, ‘Grace Dixon’, was launched at 2.59am under the command of Coxswain Shaun Charnley with crew Jonny Long, Kate Lawty, Dave Kell, Mark Harper, Adam Cleasby and Alan Cleasby. The lifeboat crew reached the stricken vessel at 3.20am. Seven minutes later all three fishing boat crew had been transferred safely onto the lifeboat. A search and rescue helicopter also scrambled, however, once the lifeboat had manoeuvred clear of the windfarm site and after a further assessment it was decided to return the casualty to the lifeboat station and the helicopter was stood down.The lifeboat returned to the station at 3.56am and by 4.07am the casualty was being transported by ambulance to Furness General Hospital. The lifeboat was then re-launched and returned to the fishing vessel. The lifeboat volunteers found the catamaran to be very low in the water on the starboard side. At 5am the lifeboat had the vessel under tow although it was still taking on water. The vessel was taken under tow and ‘very slowly and carefully moved closer to the west side of Walney Island where it was anchored so as not to be a hazard to other shipping in the area’. 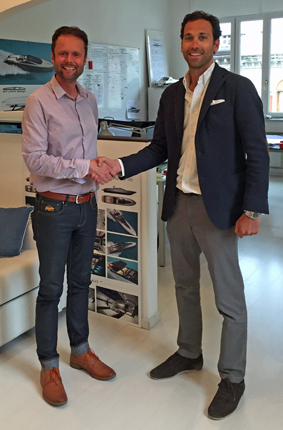 Motorboat & Yachting: Fairline teams up with Alberto Mancini and Vripack to design new models. 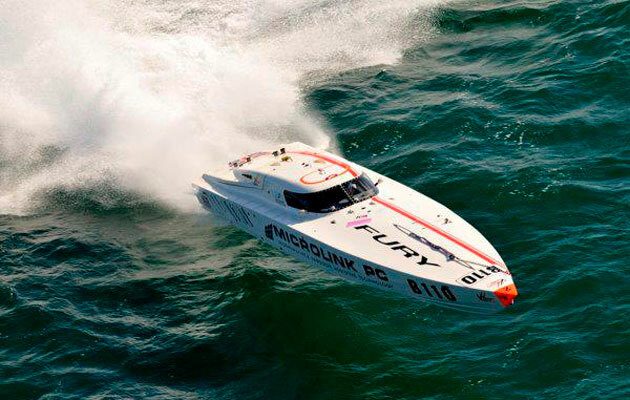 Yachting Boating World: The former boyfriend of Lisa Brown has appeared in a Spanish court after being arrested in Denmark. 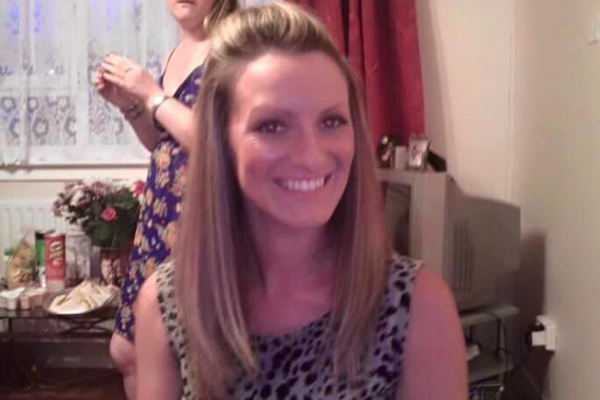 Lisa Brown has not been seen since 4 November. Posting on the Facebook page, Jordan urged Corner to answer their questions about her sister’s disappearance. Numerous photos of Corner have also been uploaded, including the one below. Corner has not been formally charged with any crime. 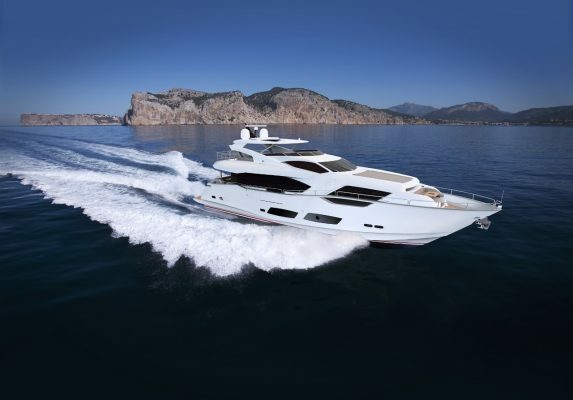 Yachting Boating World: Scheduled to open on 27 May, the marina at the Miraggio Thermal Spa Resort in Halkidiki, Greece is ideal for those wanting luxury as they cruise. For those wanting some luxury, the Miraggio Thermal Spa Resort has 300 elegant, spacious rooms. The majority of them face the Toroneos Gulf, and have stunning sea views. Private pool are available in 48 of the rooms. 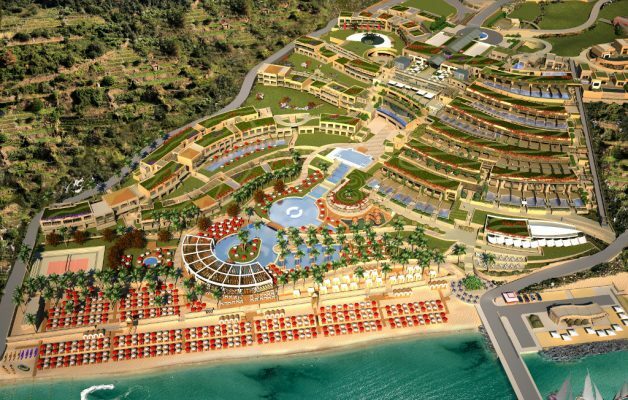 The 330-acre seafront hotel also has 10 restaurants and bars, a dedicated childcare facilities and a modern conference centre with the capacity to accommodate up to 450 people. For more information visit Miraggio Thermal Spa Resort. 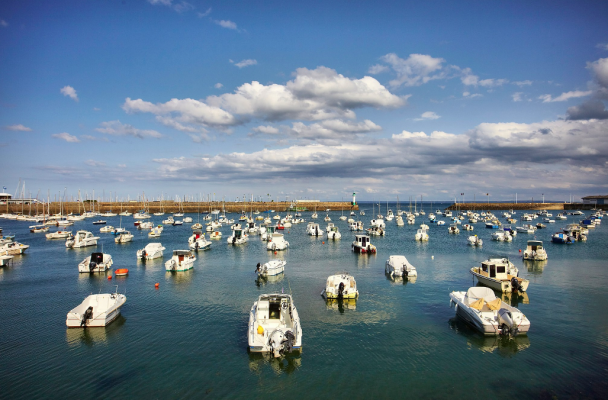 Yachting Boating World: French police say they’ve arrested five people in the Breton port of Saint-Quay-Portrieux after finding migrants stowed away on a yacht bound for the UK. 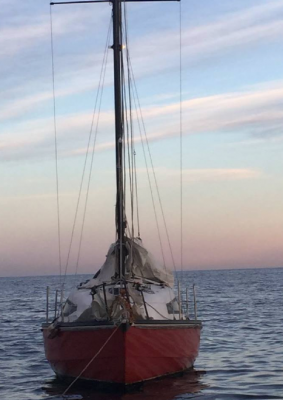 French police announced on 17 May that they had busted a smuggling network that was using yachts to transport migrants to the UK. 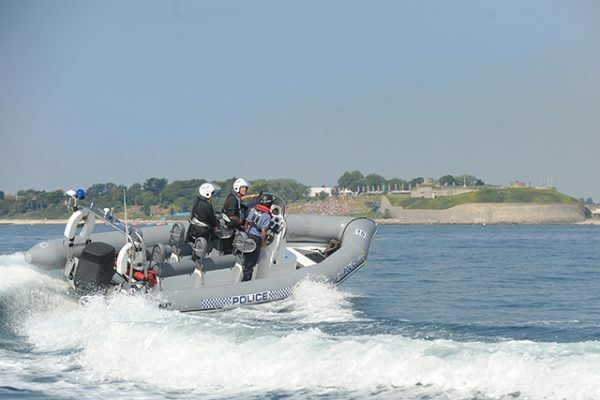 Seven Ukrainian nationals were found on board a yacht in the north west port of Saint-Quay-Portrieux in Brittany on 13 May. Two skippers and three suspected smugglers were arrested. The Ukrainians, who had arrived in the country using tourists visas, were set free and ordered to leave France. The French press are reporting that the gang chartered yachts, which they crewed themselves, out of ‘various’ ports in Normandy and Brittany. They are believed to have made more than 20 trips over the last two years, ferrying migrants across the Channel to the UK. It is unclear where the migrants were brought ashore in the UK. The UK’s National Crime Agency (NCA) is involved in the investigation. 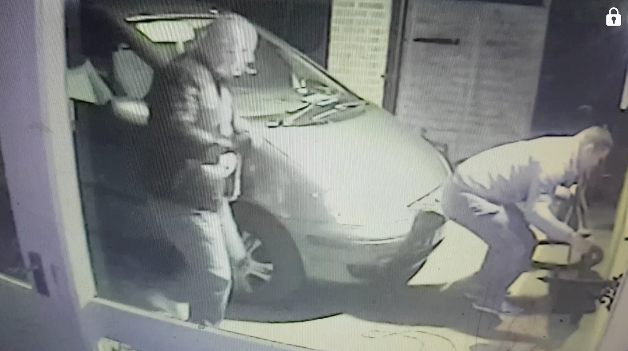 The gang has been monitored by the authorities since 2014, after British customs officials caught six Ukrainians trying to come ashore from a yacht off the eastern coast of England. The head of France’s anti-smuggling office, known as OCRIEST, Julien Gentile said this was not the usual means of transport for migrants. “This migration network used a relatively rare and costly method, because the journey cost around 6,000 to 7,000 euros,” he said. In 2015, a gang of Breton fishermen based in Plérin were jailed for five years after being found guilty of smuggling 130 Albanian migrants into the UK. The trial was held in Rennes. The mastermind behind the ring, Albanian national Edmond Rapi sentenced to seven years in prison in absentia, and an international arrest warrant was issued. He was also ordered to pay a £110,000 fine. The fishermen carried out trips between 2002 and 2003, ferrying migrants between ports in Brittany and Normandy and coves and beaches along the coastline between Weymouth, Plymouth and South East Cornwall. They were arrested in June 2014 following an extensive operation by the French and UK authorities as well as Europol and Eurojust. A Europol spokesman said an estimated 200 migrants were linked to the smuggling ring over a two year period. The head of France’s anti-smuggling office, known as OCRIEST, Julien Gentile said this was not the usual means of transport for migrants. “This migration network used a relatively rare and costly method, because the journey cost around 6,000 to 7,000 euros,” he said.